It’s really a pretty simple equation in the NFL — being the highest-paid quarterback means being the highest-paid player in the league. As of Saturday — these things can change in an instant — the top nine highest-paid players in the NFL are all quarterbacks. 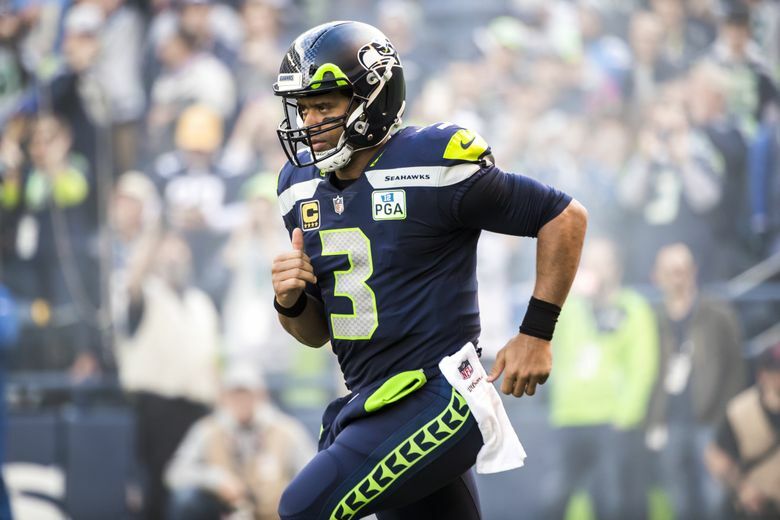 When Russell Wilson signed his last contract in the summer of 2015, he became the second-highest paid quarterback in the NFL, and thus the second-highest paid player in the NFL, at $21.9 million per year, behind only the $22 million per season of Green Bay’s Aaron Rodgers. Wilson has since fallen to 12th among quarterbacks and 14th among all players (the two non-QB interlopers are defensive linemen Khalil Mack and Aaron Donald) his salary now a whopping $11.6 million per year behind that of Rodgers, who signed a new contract last August. As you may have heard, Wilson is due for a new contract after the 2019 season, when his current one runs out. And when he does get a new one, Wilson wouldn’t mind this time topping Rodgers, or whichever other QB might top the list. Fallon may not have realized Wilson was within $100,000 of being the highest-paid player in the league last time, so it should hardly be an eye-opening statement by Wilson this time around. But it got lots of headlines anyway, because that’s how things work these days. Being the highest-paid QB — and Wilson has no reason not to ask to be that — would at the moment mean getting a salary of $34 million or so. But given that a few other QBs can also be free agents following the 2019 season such as Jared Goff, Carson Wentz, Dak Prescott and Tom Brady — the salary structure could change at any time. Wilson’s agent, Mark Rodgers, attended the NFL Combine a few weeks ago and likely met with Seahawks general manager John Schneider, though any real discussions on a contract are likely to wait until later this spring summer, which as I explained last month, is nothing at all to worry about. And as explained there, the franchise tag could loom as an option. But if not, it only makes sense that a salary in the $34-35 million a year range is what Wilson is going to be shooting for initially given what Aaron Rodgers is making. Wilson was also asked about a rumor that surfaced late last month from FS1 host Colin Cowherd that his wife, Ciara, might prefer to be located in New York for career purposes and that Wilson might request a trade to the Giants as a result. Fallon told Wilson that he heard a rumor that Wilson “could sign” with the Giants (okay, so Fallon isn’t an NFL contract expert). Wilson answered as you might expect.